Like the idea of sipping on a juicy coconut under a palm tree watching magical sunsets? Want to deepen your practice in a stunning venue with monkeys cheering on you as you move through your sun salutations? Then we’ve got your back baby! This winter we’re offering no less than two retreats at our favourite jungle yoga venue Sri Yoga Shala, south west of Sri Lanka! 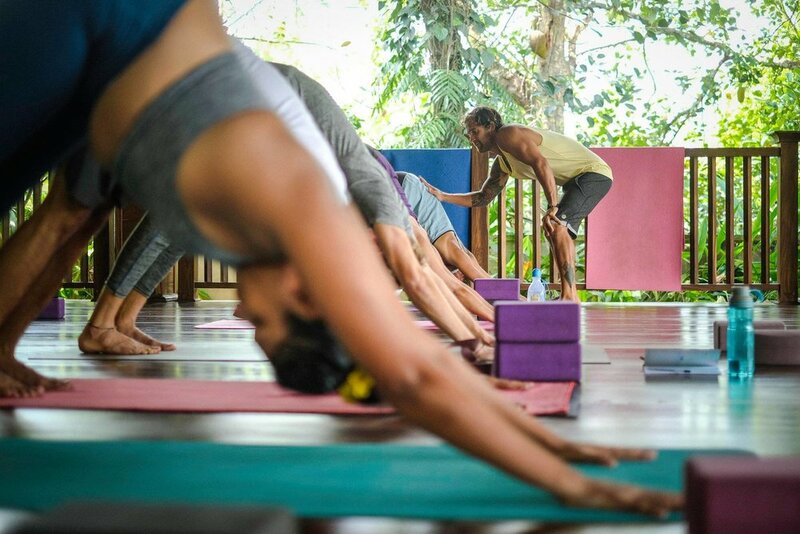 We invite you to spend a week with us at this beautiful yoga shala located only a few minutes from the picture-perfect Dalawela Beach and only a 15 min drive from the charmig city of Galle. 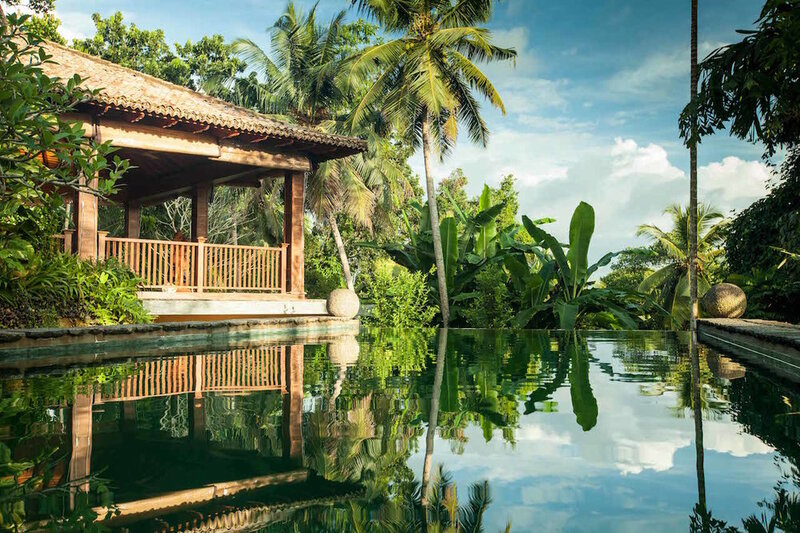 Our days are filled with juicy Vinyasa Flow classes and soothing yin, sun-soaking on the beach or by the pool, delicious Sri Lankan cuisine, time to connect to nature and plenty of time to JUST BE. And oh did we mention you get to eat tropical fruits like papaya, pineapple and dragonfruit (the best ones in the world!) and have a chance to swim with turtles!??! NOTE: The retreat starts with a welcome snack and gathering at 3pm on the day of arrival and ends after brunch on the last day of the retreat. The schedule will vary slightly as we add some sessions in the middle of the day and leave time off in the afternoon. Our retreat is held at a beautiful place, run by our dear friend and yoga teacher Eva, and is located 3km inlands from Dalawela Beach, near Unawatuna, south west of Sri Lanka. 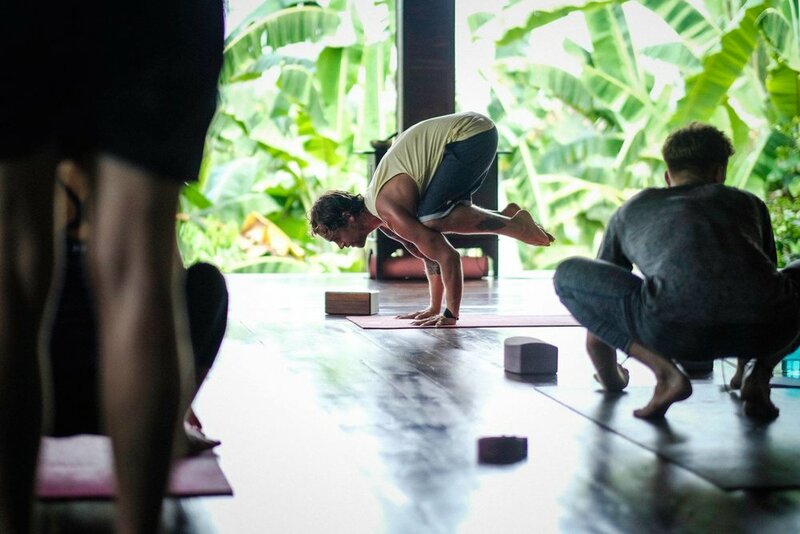 The venue holds two yoga spaces, one that is used for regular yoga classes and one that will be ours for the retreat. 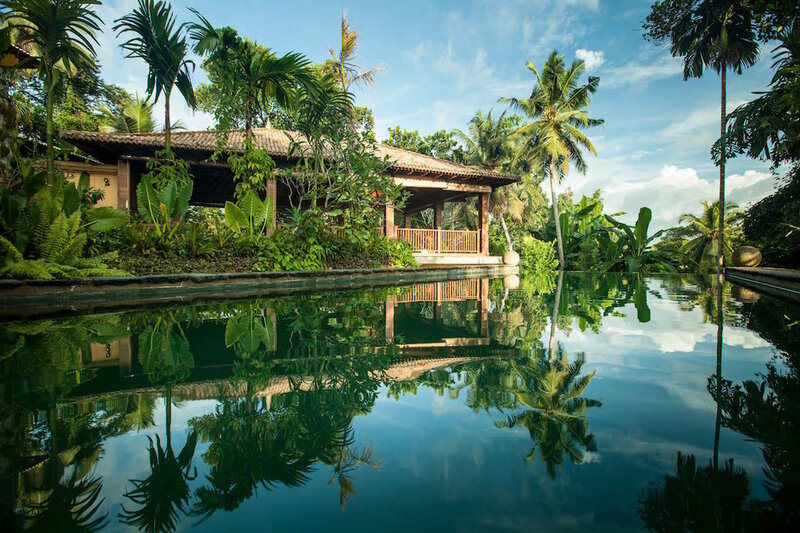 There’s a huge saltwater infinity pool, a café/chill out area and several treatment rooms where different healing therapies, body work and massages are offered. A perfect little sanctuary for our retreat. Dalawela beach is about 20 min walk from the shala, but can also be reached in 3 min by tuk tuk. The closest bigger town is Galle, a Unesco World Heritage Site and historic city which can be reached in only 15 min tuk tuk drive - a highly recommended "visit addition to the retreat! In the morning we wake up our bodies with a dynamic Vinyasa Flow class (synchronising movement and breath) including short meditations and pranayama (breathing exercises). In the afternoon we nurture our bodies with Yin yoga and on one days we'll also have a yoga workshop where we look into a specific topic. The classes at this retreat are for those who already have some knowledge of Vinyasa Flow and want to take their practice to the next level. We LOVE preparing, eating and enjoying healthy and delicious food and so for us food plays a big role at all of our retreats. Our meals will be served mostly at Sri Yoga Shala but we also like to take you to some of our favourite cafés/ restaurants in the area, so it will be a mix. For brunch you can expect colourful tropical smoothie-bowls topped with nuts and fresh fruit, accompanied by a coconut or a juice. For dinner you’ll get to savour amazing Sri Lankan curries and other vegetarian dishes, with the option to have some fish on some days. To book your spot at one of the retreats simply fill out the form below. We’ll get back to with information on how to pay the deposit 300€ (non-refundable) to secure your spot. The rest is to be paid upon arrival the first day of the retreat. YAY! Thanks for showing interest in our retreat - we’d love to have you join us! We’ll get back to you as soon as all details are set. To make this retreat accessible for everyone and on different budgets, we decided to make these non-residential retreats, leaving it up to you to decide the price range and standard of your accommodation. Apart from Sri Yoga Shala rooms, right next to the yoga shala, there are plenty of guesthouses, hotels, and resorts in the area nearby. If you are traveling alone and would like to connect with other solo-travellers and possibly share accommodation get in touch and we hook you up with someone! (send us an email). Please note that the all communication about your accommodation and the arrangements around it is your own responsibility and and that your booking needs to be done directly with Sri Yoga Shala or other guesthouses if you stay elsewhere. Right next to yoga shala, there are 10 new beautiful rooms being built, ready for the winter and our retreats! This is a perfect place to stay if you want a bit more peace and quiet (except for the jungle sounds!) and plan to spend most of the time around the shala. There are 8 Double/Twin and 2 Triple rooms, with ensuite bathrooms and AC. Prices from 8,000LKR (single)/ night (around 40 €). SHALA RESIDENCY (BUDGET - MID RANGE) This beautiful pavilion-like house is perfectly tucked amongst the palm trees, 5 min from the beach, a 5 min tuk tuk drive from the shala (tuk tuk is a Sri Lankan motorbike taxi on 4 wheels) and about 20-30min walk from the yoga shala. The house has 5 rooms (3 double and 3 single) with a shared verandah, indoor living room spaces, kitchen area, outdoor/indoor showers and 3 shared bathrooms. Prices from 2,500 LKR / night (around 14 €).